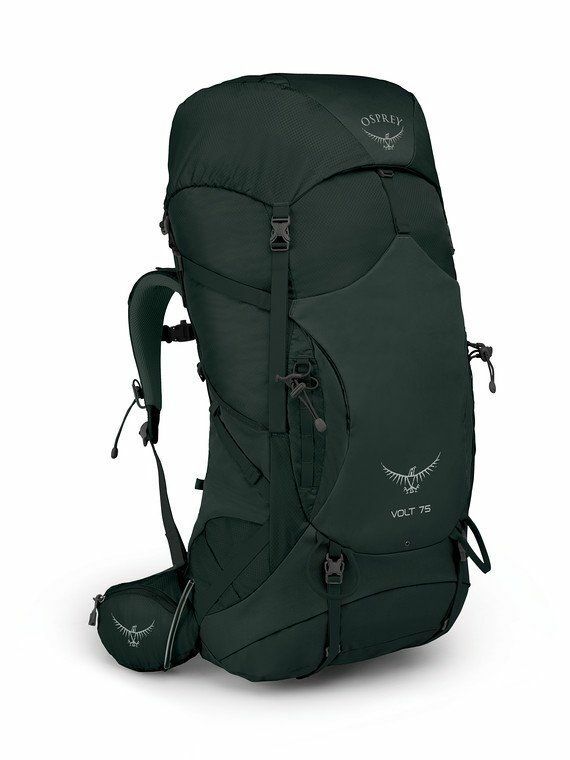 "A highly adjustable and capable solution, the Volt 75 is a workhorse for carrying moderate to heavy loads. With 5 inches of torso adjustment and extendable Fit-on-the-Fly hipbelt wings, it's easy to dial in the perfect fit for big, small, wide, and tall folks. The breathable AirScape backpanel fits close to body and the LightWire frame transfers heavy loads directly to the hipbelt, providing stability on cruiser trails or rugged terrain. Additional features—like an included raincover, zippered sleeping bag compartment, Stow-on-the-Go trekking pole carry, removable sleeping pad straps and zippered hipbelt pockets—deliver outstanding value. Whether it's your first trip into the woods or your fiftieth, the Volt 75 defines outstanding comfort and function. Adjustable Torso Length: 17""/23 cm - 22""/58cm. 4577 in3 / 75 l | 33.3h x 15.0w x 14.2d in. | 4.55 lbs."